This weekend saw Mr W and me head in a Northerly direction to the stylish town of Alderley Edge in the heart of footballers’ wives country in rural Cheshire. We had Saturday dinner and Sunday lunch plans with foodie friends (more on that in subsequent posts!) 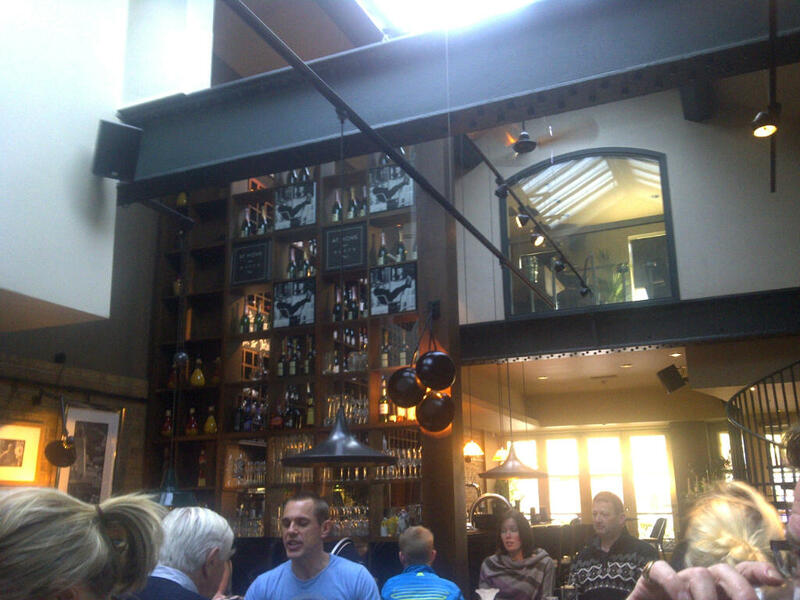 but on arrival on Saturday we went for lunch a deux at Gusto, one of a plentiful selection of appealing-looking eateries on Alderley Edge’s main street. In common with most of the restaurants on offer, Gusto has a fairly small ‘shop front’, but this was deceptive as it’s actually quite large inside, with a high ceiling, open kitchen, spiral staircase leading to an upper floor, impressive ‘wine wall’ behind the bar and a bustling, lively feel. We had a quick look at the menu outside and I have to confess that at this point I did accuse Gusto of being ‘a bit like a Prezzo or an ASK’, as the menu consisted of a choice of pizza, pasta, salads and meat/fish dishes, all with a fairly Italian flavour – and of course the Italian name. On looking more closely at the menu once we were inside, though, we soon realised this was something a bit more special. Options were extremely plentiful with a number of very appealing and innovative takes on more traditional Italian dishes. I considered a salad with baby scallops, warm pancetta and avocado, which sounded particularly intriguing, but with the weather starting to turn colder outside, we both eventually decided that we were in the mood for a warming pasta dish. 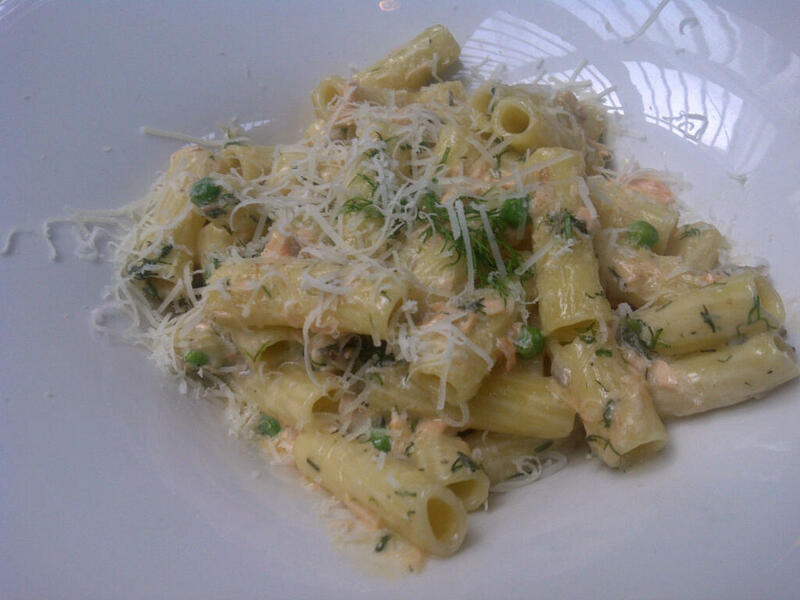 I considered a couple that included scallops and other seafood variations, and an unusual duck and asparagus version, but eventually settled on smoked salmon and dill rigatoni with peas, spinach and cream. Mr W opted for tagliatelle with smoked haddock, baby new potatoes and spring onions in a cream sauce, topped with – the main selling point here – a poached egg. Both of us were completely bowled over by the quality of our food, and there’s really not much more to be said than that! 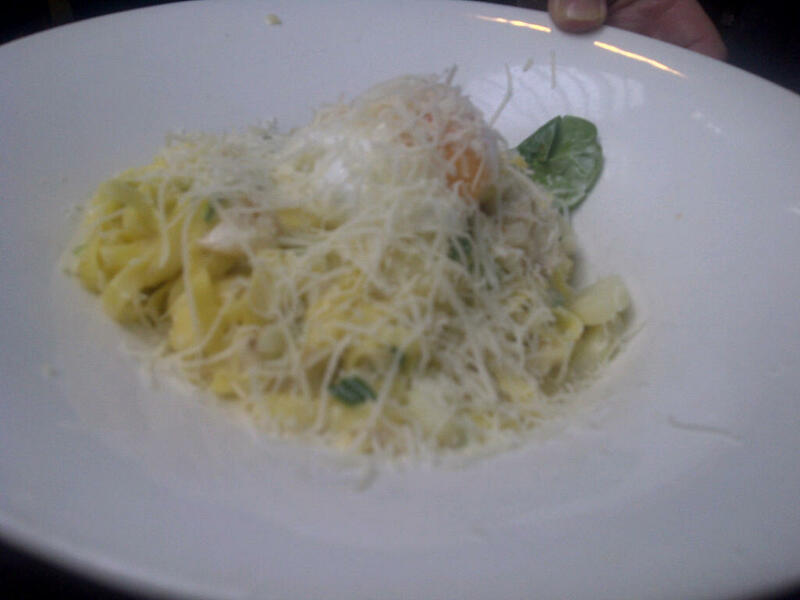 Clearly Mr W’s choice was not a traditional pasta dish – neither smoked haddock nor poached egg (nor indeed potatoes!) is an obvious choice to put with pasta, but it really, really worked. The portions were not overly generous, but just right, with the emphasis definitely being on flavour and quality of ingredients, rather than on piling customers’ plates high with unnecessary amounts of pasta. We both thoroughly enjoyed every mouthful and waxed lyrical about our dishes throughout the meal. The service was similarly excellent, despite an initial mix up with our order where Mr W was brought a smoked haddock risotto, rather than the pasta dish he had requested. We were pleased and impressed that when we brought this to the waitress’s attention she immediately took away both of our meals and assured us that mine would be prepared fresh again for us when Mr W’s was ready. It was only a matter of minutes until our correct order came over, and it really was worth waiting for us. I never mind things like this happening in restaurants, as mix ups and errors inevitably occur from time to time – it’s how you deal with them that counts. In this case, not only was it resolved quickly and efficiently, but when our bill came, they deducted the cost of two glasses of wine that we had had at the bar before our meal, and we hadn’t actually asked for any compensation, nor had we made any sort of fuss about the mix up, other than to bring it to their attention, so we were extremely impressed. Prices were astonishingly reasonable, given the location and overall experience. Our main courses both came in around the £10 mark, and a glass of Merlot was £5. There were a couple of lobster dishes on the menu for anyone who wanted something even more special, and these were priced as you would expect – but everything else was really on a par pricewise with something like the aforementioned Prezzo, but a serious cut above in every other way. 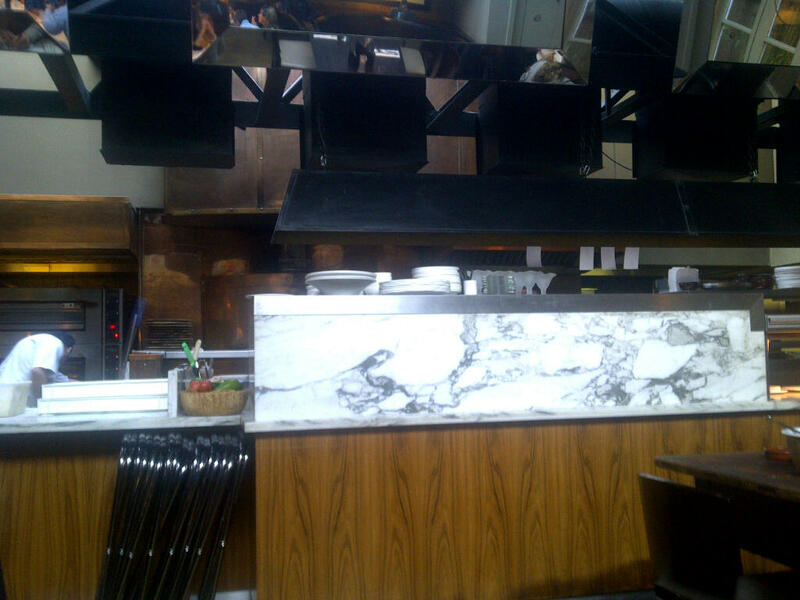 The open kitchen gives it a buzzy atmosphere and I can imagine it being a good venue for a special occasion – with a range of group seating including long, high tables and booths in addition to more normal tables in the centre. I would love to go back to Gusto, or to one of their sister restaurants (they have a few, mainly in the North of England) as I can’t praise what we ate highly enough. Unfortunately we were only in the market for a light lunch on this occasion, but I would love to go back for an evening meal (or a more substantial lunch) on a future visit and I’m certain I won’t be disappointed. Have you ever tried Konak Cafe in Alderley Edge ??? No I haven’t. 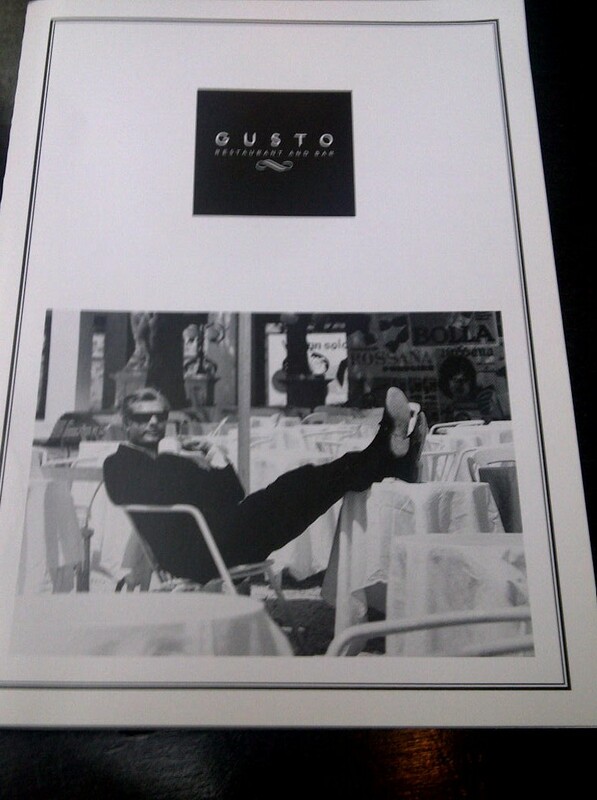 I’ve only been there once, and we ate at Gusto, The Merlin and The Bubble Room – all of which we really enjoyed! Friends live there, so perhaps on our next visit we’ll try that one. Would you recommend, or are you looking for a review?